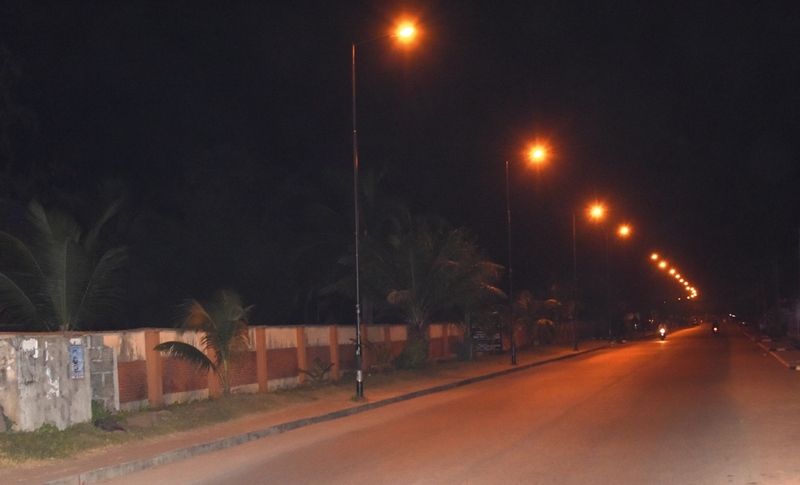 Illuminated Joseph Disu Way, Badagry, with Street Lights courtesy of the Light Up Lagos Project, an initiative of Governor Akinwunmi Ambode’s Administration. 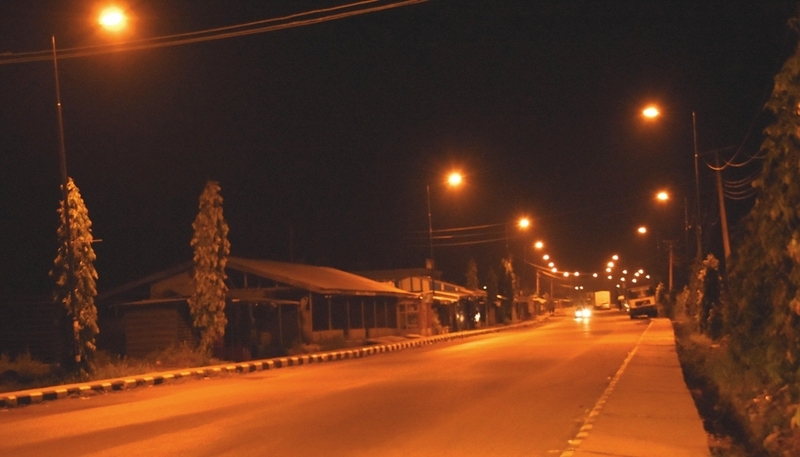 Illuminated Market Road, Badagry, with Street Lights courtesy of the Light Up Lagos Project, an initiative of Governor Akinwunmi Ambode’s Administration. 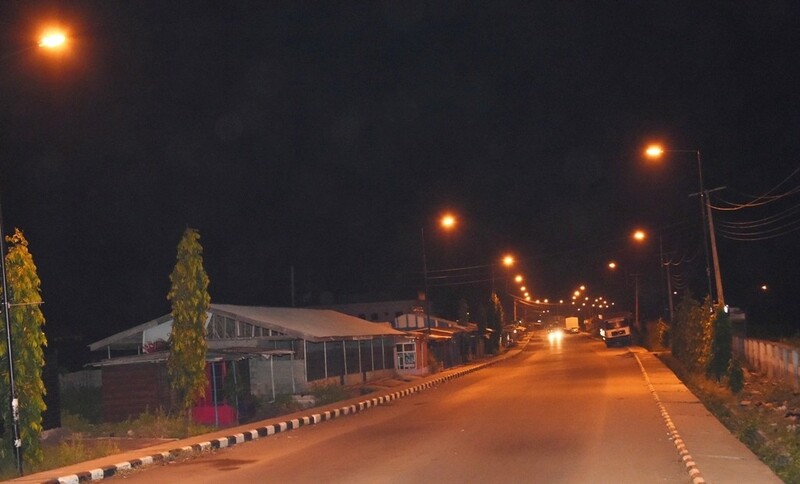 Illuminated Hospital Road, PWD Bus-stop, Badagry, with Street Lights courtesy of the Light Up Lagos Project, an initiative of Governor Akinwunmi Ambode’s Administration. One of my promises to Lagosians was to light up Lagos. 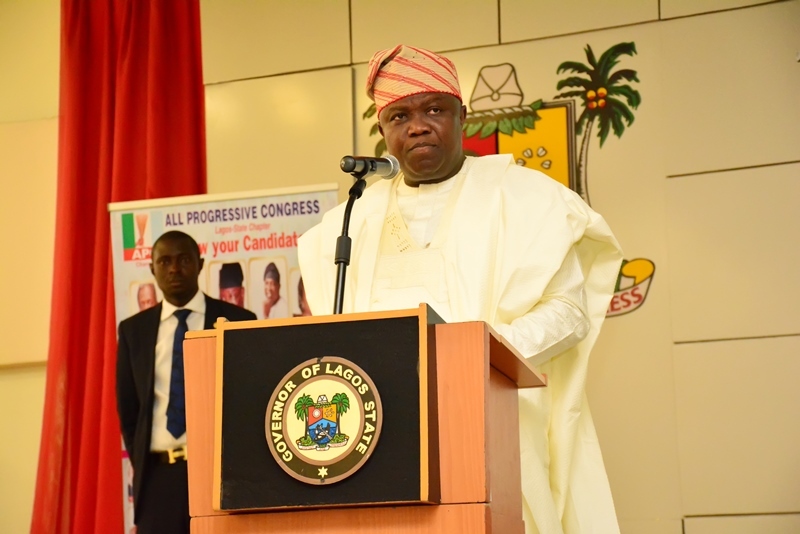 As a result, a Light Up Lagos Initiative was created as a key programme of this administration. 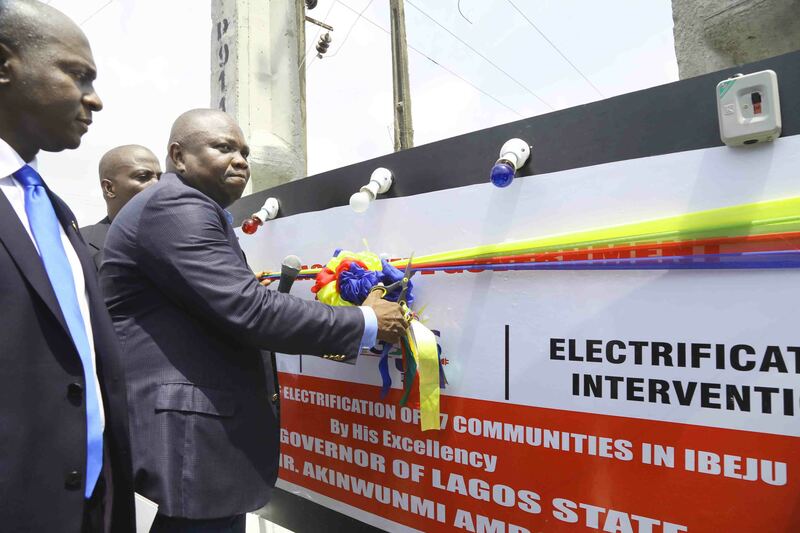 To drive the Light Up Lagos Initiative, on December 10, 2015, the Light Up Lagos Power Advisory Committee was inaugurated. This committee is made up of the decision makers in the power value chain – Generation, Transmission, Distribution and Gas Suppliers – and relevant government officials. The purpose of this committee is to work with government to develop a road map to provide sustainable power supply to homes and businesses in Lagos in the Medium to Long Term. The Committee is one of the tripods on which the Light Up Lagos Initiative is built on. The other two legs of the tripod are: Community Electrification and Street Lighting. The project we are commissioning today falls under the Community Electrification of the Light Up Lagos Initiative. The attention of this administration was drawn to the plight of residents of Ibeju Lekki/Ise/Odeomi comprising 68 (Sixty Eight) communities in Ibeju Local Government and Lekki LCDA, who have been without electricity for over 5 years. After due assessment of the situation, we commenced work last year October with a promise to ensure that these 68 communities are connected to the national grid. Today, we are delighted to see that these communities have been connected to the national grid. To make this project a reality, 33kv dedicated high tension lines were laid from Ajah substation to Eleko junction and from there spread to 68 far flung communities. A high tension network covering 131.5 km was rehabilitated and 86 transformers were installed all at a cost of N600 million. Beyond fulfilling our promise to these 68 communities, we have also demonstrated our commitment to run an all-inclusive government in which no one will be left behind. It is expected that the commissioning of this project will boost the socio-economic activities in this area, after having suffered untold setback for over five years. I am aware that this issue of lack of access to electricity is not peculiar to your communities alone. As I speak, a similar challenge involving 34 communities in Badagry is being addressed by the Ministry of Energy and Mineral Resources and before September, we shall connect them to the national grid. 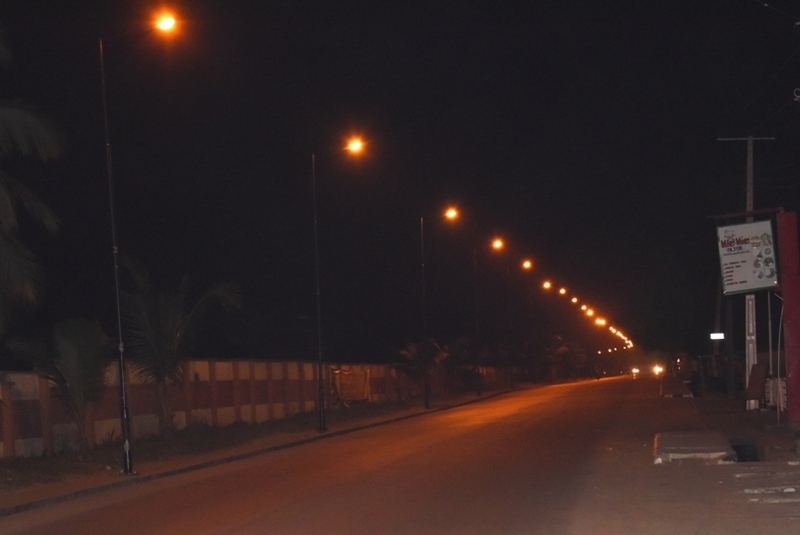 As we do this, we shall continue with the Street Lighting Project of the Light Up Lagos Initiative. 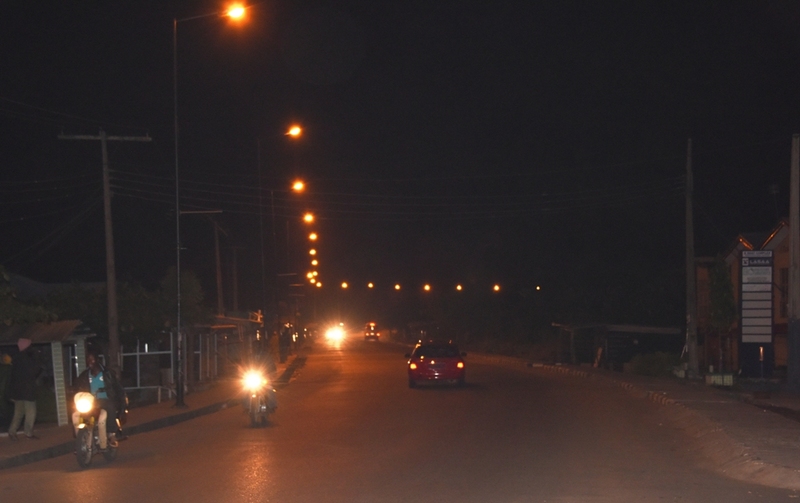 The vision is to ensure that we light up all major roads and border towns in the State. I commend the Commissioner of the Ministry of Energy and Mineral Resources as well as all officials of the Ministry and the State Electricity Board who have worked hard to make this project a success. I thank the Light Up Lagos Power Advisory Committee. I also thank the management of Eko Electricity Distribution Company for their cooperation and contribution to the successful completion of this project. Let me use this opportunity to reaffirm our full commitment to the well-being of our people irrespective of their location within the boundaries of our State. I appeal to you all to continue to live together in peace and avoid any act that may result in loss of lives and wanton destruction of properties. I also make a special appeal to you all, especially our community leaders, for your cooperation to allow development come to your communities. The disturbances we have had at the Lekki Free Trade Zone are not acceptable as we must join hands together. A government White Paper from the panel of enquiry into the recent disturbances will soon be released. The government will commence a tour of Local Governments in the month of May to inspect and commission projects, listen to our community leaders as we remain committed not to leave anyone behind. I congratulate the people of Ibeju Lekki/Ise/Odeomi and pray that this commissioning will trigger more positive developments in your communities. Itesiwaju Ipinle Eko, lo je wa l’ogun! 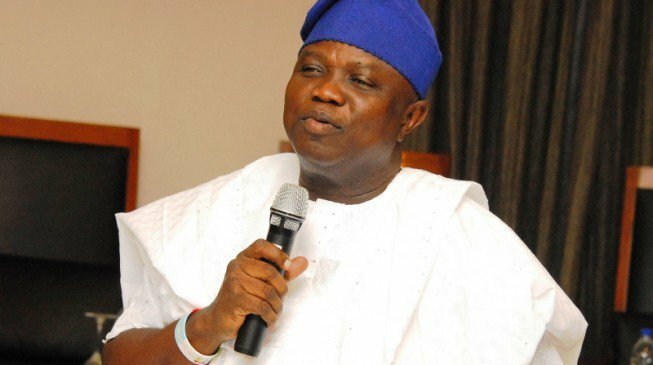 The Lagos State Government on Tuesday assured residents of the State that it was working hard to consolidate on the gains recorded over the past few months in reducing crime to the barest minimum, just as it reiterated its commitment to always uphold security of lives and property. 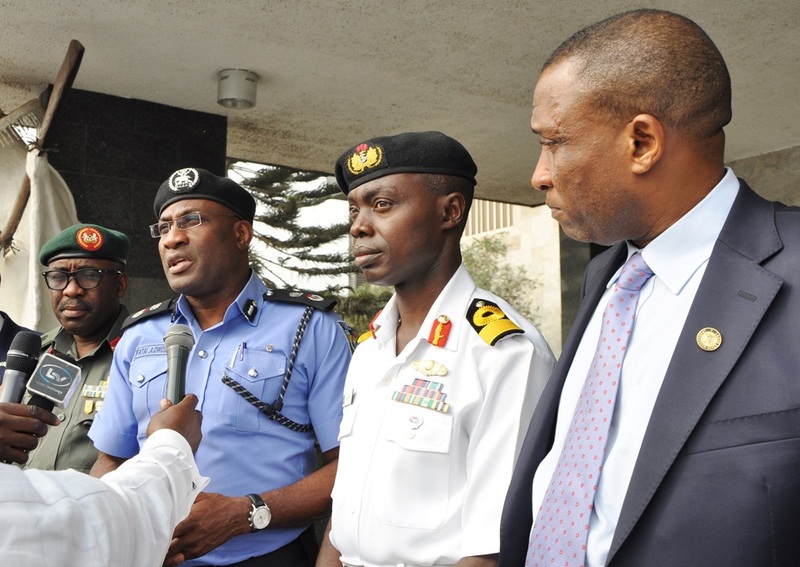 State Commissioner of Police, Mr. Fatai Owoseni who disclosed this at the end of the monthly State Security Council meeting chaired by the State Governor, Mr. Akinwunmi Ambode and attended by heads of all the security agencies in the State, said the Council considered and agreed to build on the momentum of successes recorded so far with the view to safeguarding lives and property, as well as maintain a safer environment for investment. He said: “As you all know that one of the tripod upon which the State Government built its policy thrust is security. We have once again looked at what is happening security wise; the gains recorded especially with the successful hosting of the Lagos Marathon held last Saturday. 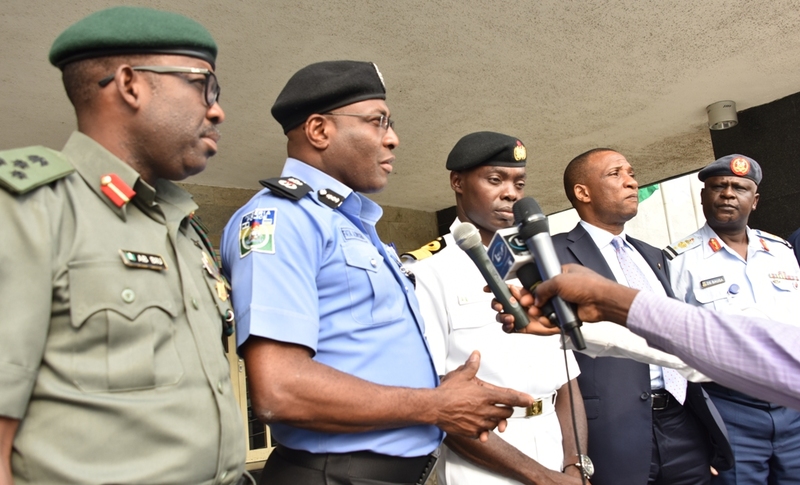 “Looking at that, we have considered and agreed that there is need to build on the momentum and further improve on what we are doing in order to keep Lagos State safer and more secured in order to attract investments which will also translate into giving employment to people in Lagos,” Owoseni said. 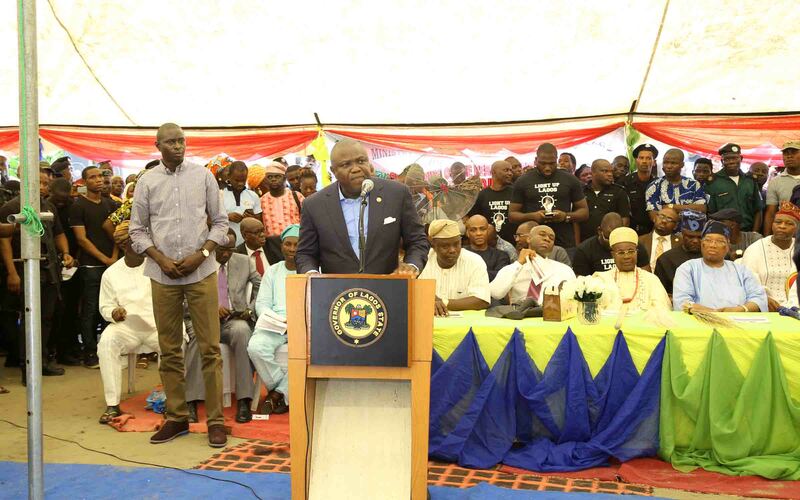 Owoseni, who briefed journalists alongside service chiefs and top government functionaries, also highlighted the positive impacts which the ‘Light Up Lagos’ Project, an initiative of Governor Ambode’s administration, has had on the security architecture in the State. He said: “It is one of those key things with which we can prevent crime. 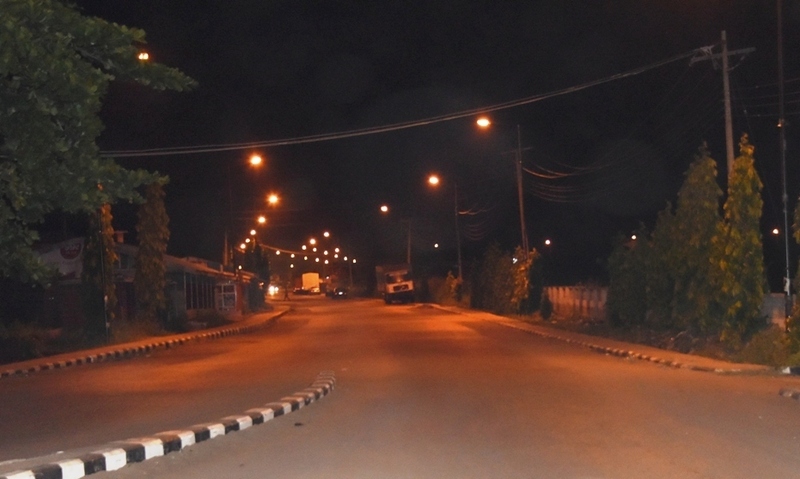 Apart from the aesthetical value that you gain in it by making everywhere beautiful, you are also preventing crime when the places are lit up at night. “It helps in prevention of crime and detection as well. You can see the criminals that we are pursuing, if the criminals have dropped anything which if the places are dark, you will not be able to see them, but that story has changed. So, it is a big plus for security. 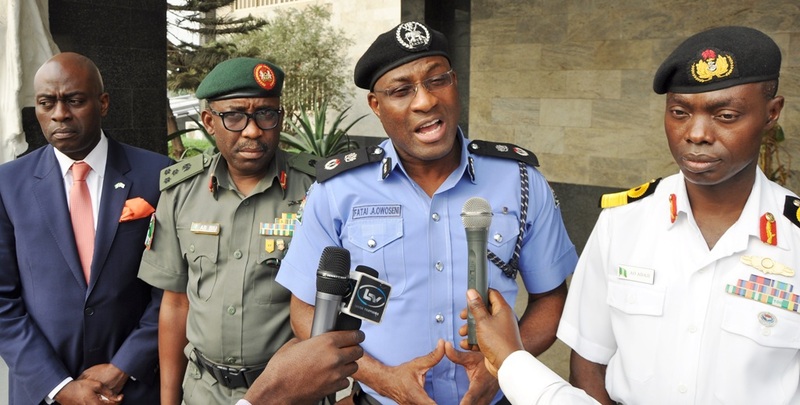 “I just want to appeal to Lagosians to be law abiding and expect improvement on all what the security agencies have been doing to keep Lagos safer and more secured,” the Lagos CP said. Those in attendance at the meeting include the Commander, 9 Mechanized Brigade, Brigadier General Bulama Biu; Commander, Nigeria Navy Ship Beecroft Apapa, Navy Commodore Abraham Adaji; Commander 435 Base Service Group, Ikeja, Air Commodore Danladi Santa Bausa and Director, State Security Service, Mr. Adekunle Ajanaku. 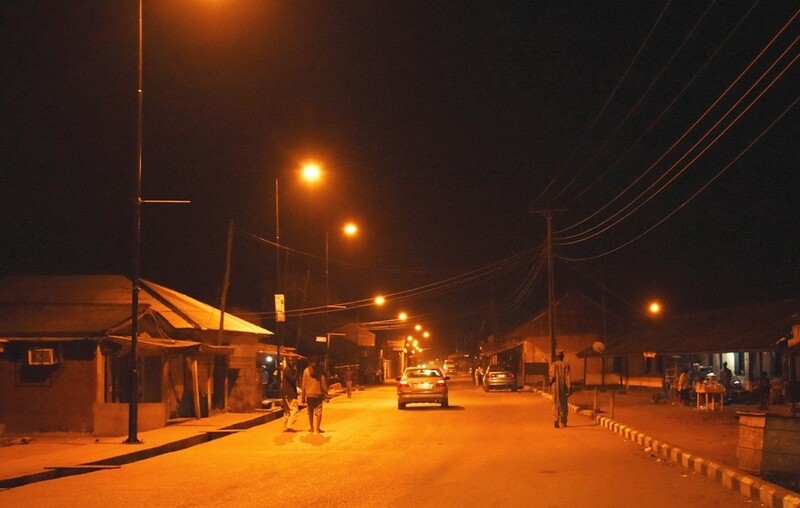 In fulfillment of the electioneering campaign promise of Governor Akinwunmi Ambode, the Lagos State Government has intensified efforts on the Light Up Lagos Project, an initiative aimed at lighting up every nook and cranny of the State. Already, most major highways and streets have been lightened up, while massive repair of street lights are being carried out in other strategic places. 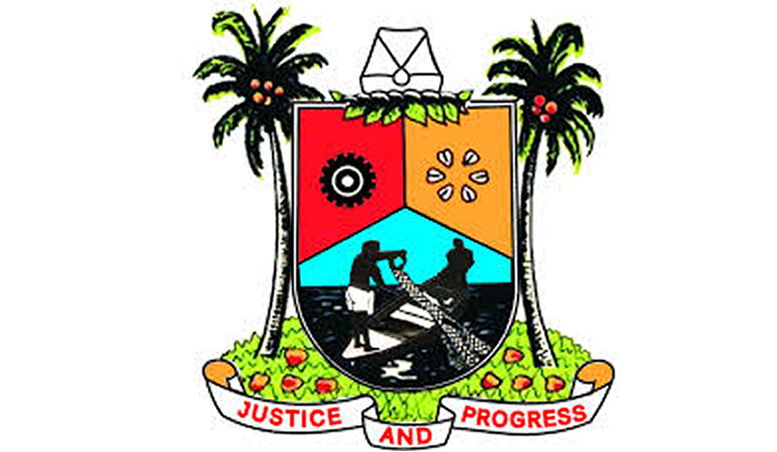 In keeping faith with the actualization of the project targeted at creating an enabling environment that will ensure 24-hour power supply to residents in the next two years, Governor Ambode had set up an Advisory Council chaired by the Deputy Governor, Dr. (Mrs) Idiat Oluranti-Adebule, with a charge on them to make electricity available to Lagosians for both business and domestic use. 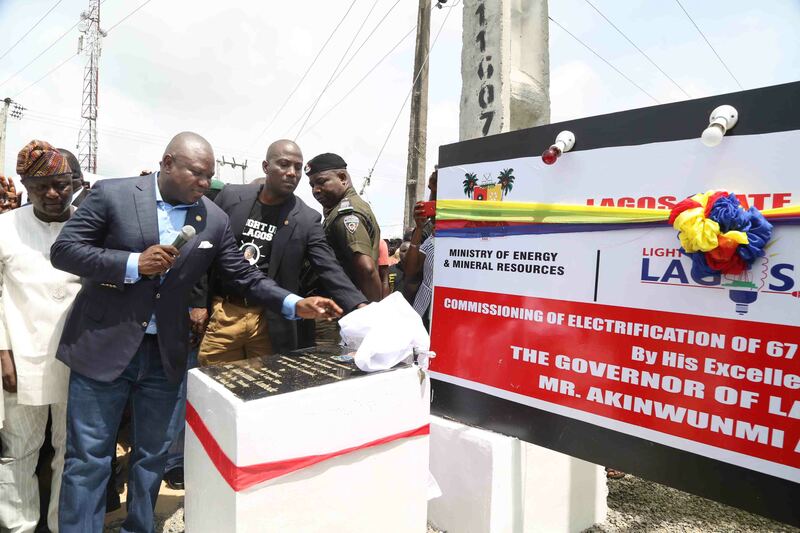 Governor Ambode had equally urged individuals and corporate bodies to light up their streets and neighborhood, with a promise that such gestures would be duly rewarded and recognized by the State. The main idea behind the setting up of the Advisory Council was said to have been for members, who were drawn from the public and private sector, to liaise with the Federal Ministry of Power to actualize the dream. 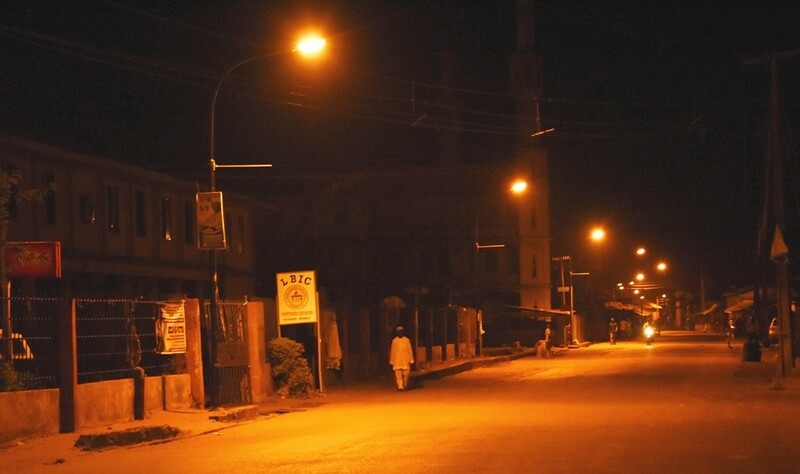 While expressing confidence in the sincerity of the Ambode administration, the source however expressed hope that government would be able to sustain the project and make sure that street lights are on at all times in the State. When contacted, Lagos State Commissioner for Energy and Mineral Resources, Mr. Wale Oluwo confirmed the efforts being made by government toward lighting up every nook and cranny of the State, and recalled that same were in line with the campaign promise made by Governor Ambode to the people. Oluwo said to underscore the commitment of government, arrangement has been concluded on having Bus Rapid Transport (BRT) buses to work at night once the light up project is completed. He said: “This is one of the campaign promises made to the people by the Governor and just like he has fulfilled others, this project will not be an exception. “The intention of government is to light up all highways in the State. In fact, the Governor is about to embark on 114 road reconstruction which will be done two per each Local Government Areas and Local Council Development Areas in the State with walkways and street lights. 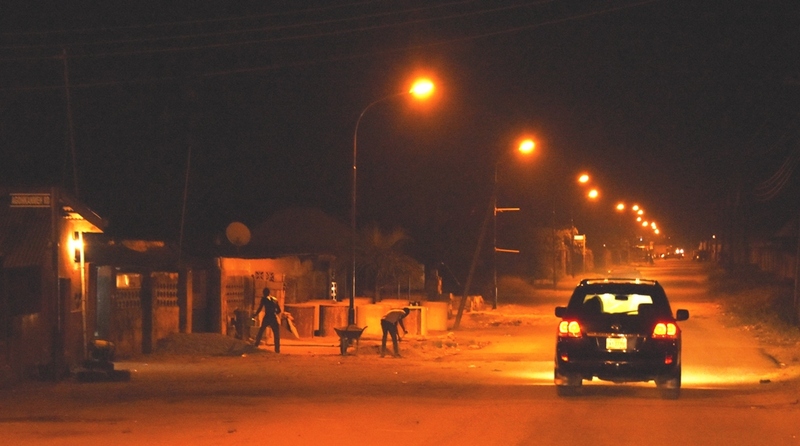 “You see, the street light project is more or less complimentary to the security equipment worth N4.8 billion recently donated by the Governor to the police, and the ultimate goal is that when all the street lights are on, we will start having BRT buses working at night. 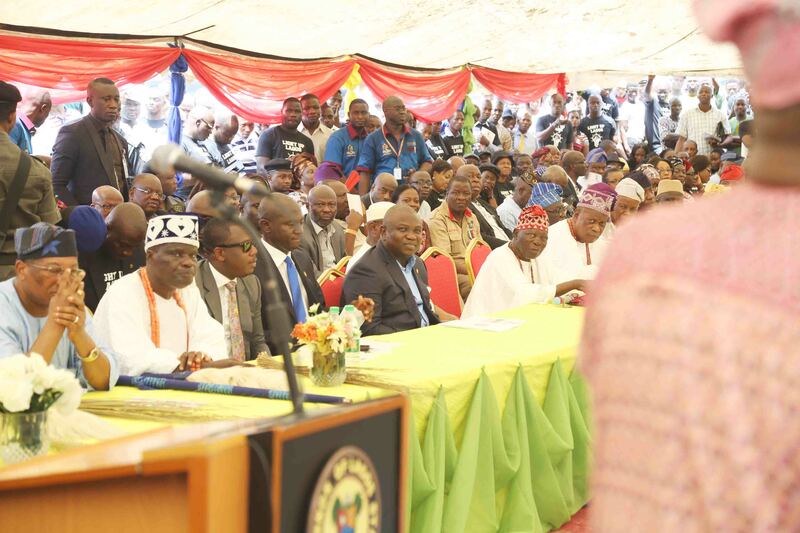 “We are assuring Lagosians that the process of lighting up every corner of the state has begun in earnest and we are not going to stop until we achieve our aim”, Oluwo said.